Weekend trips to visit friends and family are always fun. However, the part that isn't so fun is packing and carrying your clothes. You may be thinking of packing up a plastic bag with everything you need for the weekend. The problem is that plastic bags aren't very sturdy and can easily break. You don't want to do laundry right when you reach your destination because everything fell on the ground. 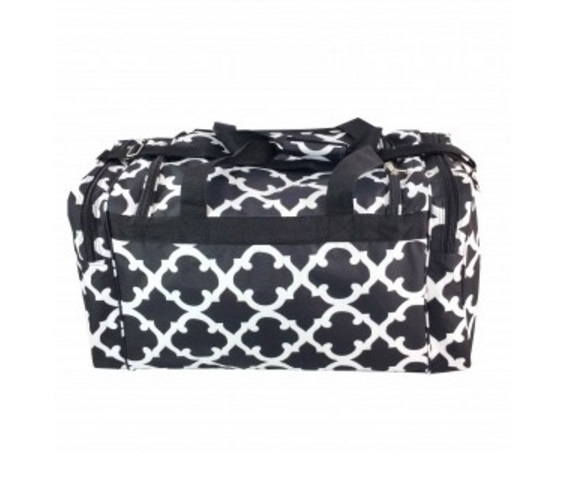 Save yourself plenty of hassle and extra laundry by packing your clothes and other dorm items in our Quatrefoil Fashion Duffel Bag in Black. 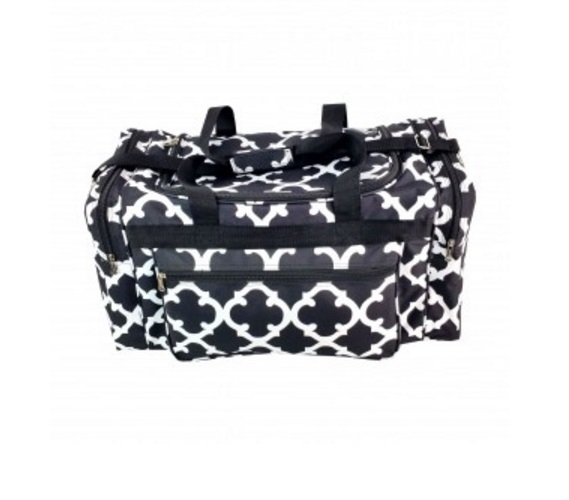 Our Quatrefoil Fashion Duffel Bag in Black has a simple, yet pretty black and white design and spacious side pockets to hold your smaller dorm items such as your cosmetics. 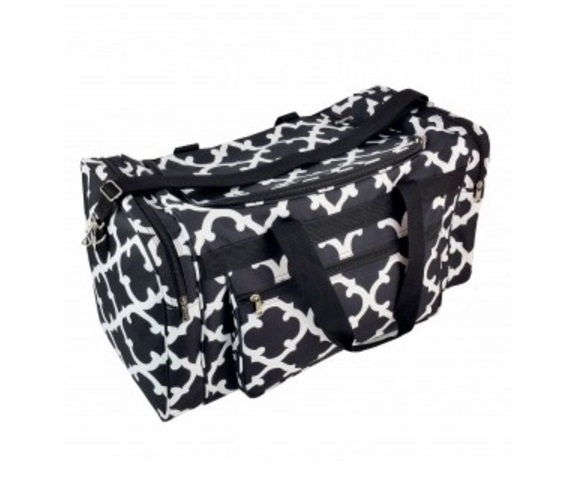 With a large main compartment, you won't have to worry about packing multiple bags on weekend trips home. 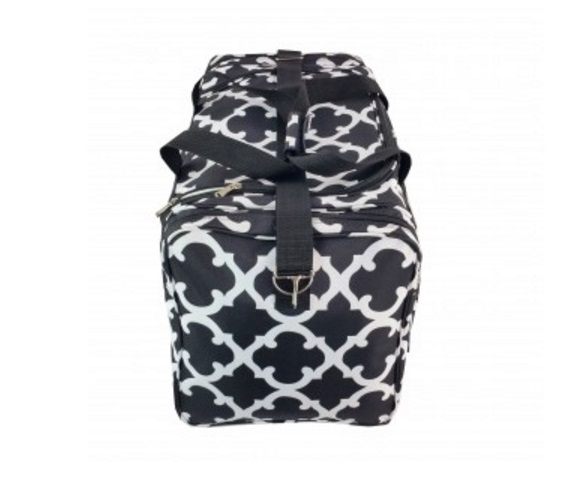 This dorm necessities item is great for more than just trips home, however. Going to the gym or pool? 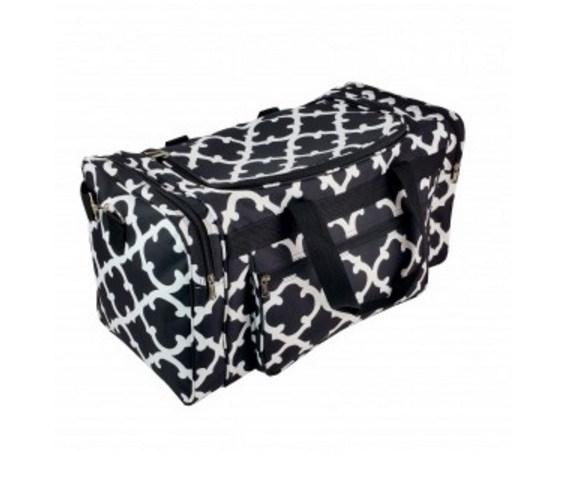 Pack up this dorm item with towel, water, and change of clothes!